The crowd-funded Android-based console, OUYA, was launched yesterday. Raising over 8 million dollars in funding via Kickstarter, the company called BOXER8 (since renamed to OUYA) has been maufacturing the low-cost ($99) and open home console, and since AfterDawn was a part of the crowd funding, we got the console a bit beforehand. So let's take a look. 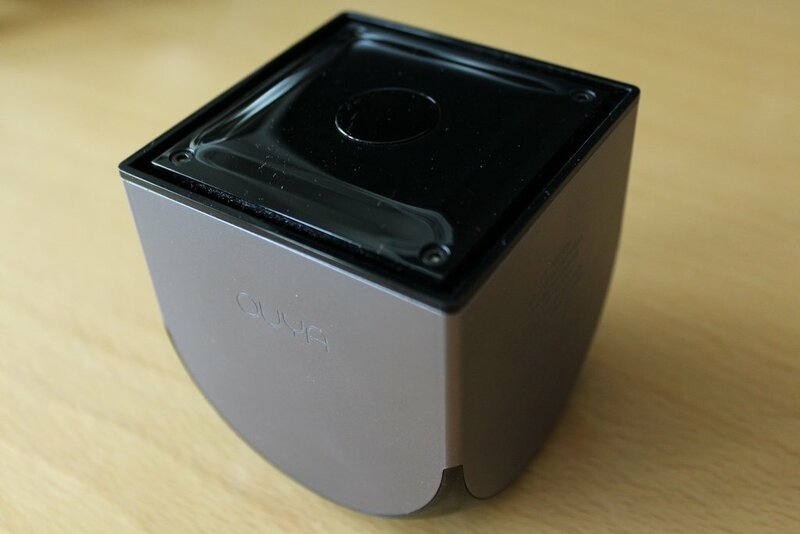 OUYA is an Android based gaming console that is packed into a tiny 3-inch cube. Underneath the shiny cover, it is powered by the quad-core 1,7GHz Tegra 3 T33-P-A SoC, and packs 1GB DDR3 SDRAM. 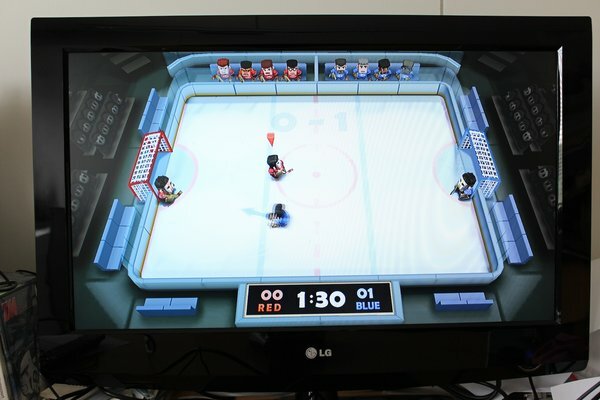 OUYA outputs to a display via HDMI (v1.4), up to full 1080p with stereoscopic 3D support. 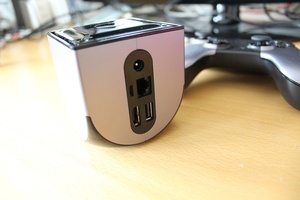 For connectivity, it sports a USB 2.0 port, and a microUSB port. For network/wireless connectivity, OUYA has a standard Ethernet port, Wi-FI (802.11 b/g/n) and support for Bluetooth 4.0 (which provides controller connectivity). 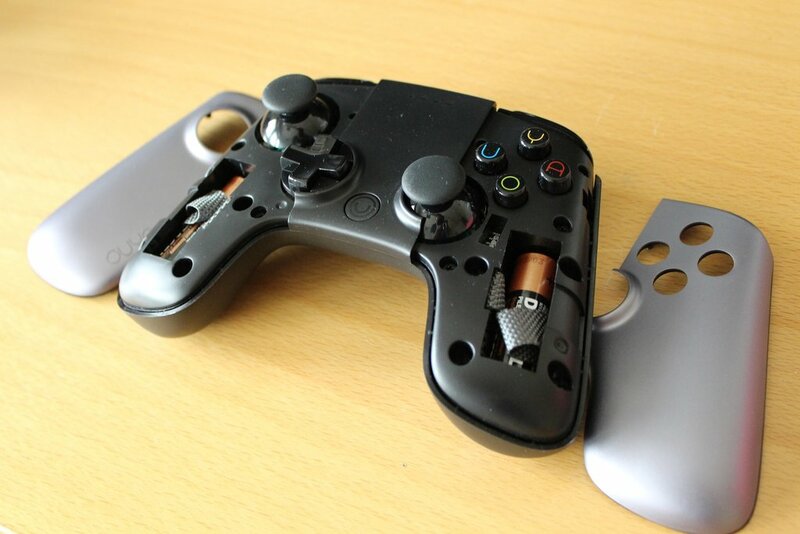 One controller is bundled with the OUYA, powered by double A batteries. The controller is wireless and uses Bluetooth. 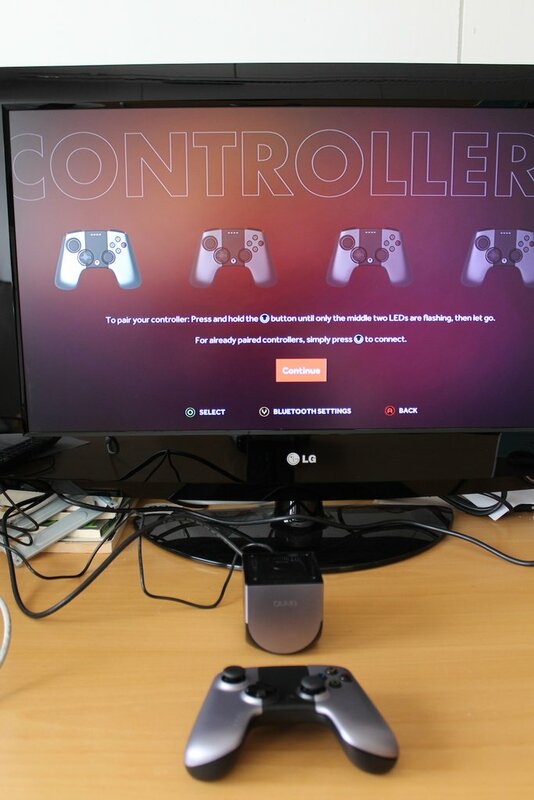 You can have four controllers attached to OUYA. Definitely one of the OUYAs strengths is the size of the thing. At three inches it couldn't be much easier to position or even hide if you don't like the look of it. The connectors are more than enough for most people. The only thing grinding gears might be the lack of an audio output. The ergonomics of the controller are not the worst in the world but you can definitely see and feel that there hasn't been the kind of an R&D circle the controllers of the big three go through. The triggers in particular may have needed more work. The batteries are placed underneath where you hold the device and opening the controller from the top makes it feel a bit cheap. There's a touch panel on the top of the controller, which we didn't have much use for -- at least in games. You can use it as a mouse to control the UI though. The console is not built badly by any means, considering it costs only $99 but the sub-par controller is something that makes one look in the direction of Microsoft, Sony and Nintendo. 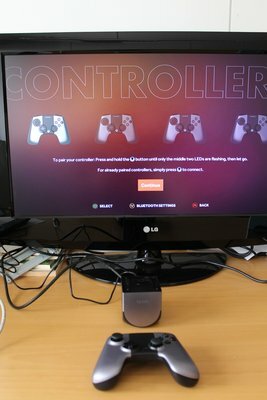 Alternative controllers can be used, but only if the games are compatible with them. As mentioned, OUYA runs on Android. 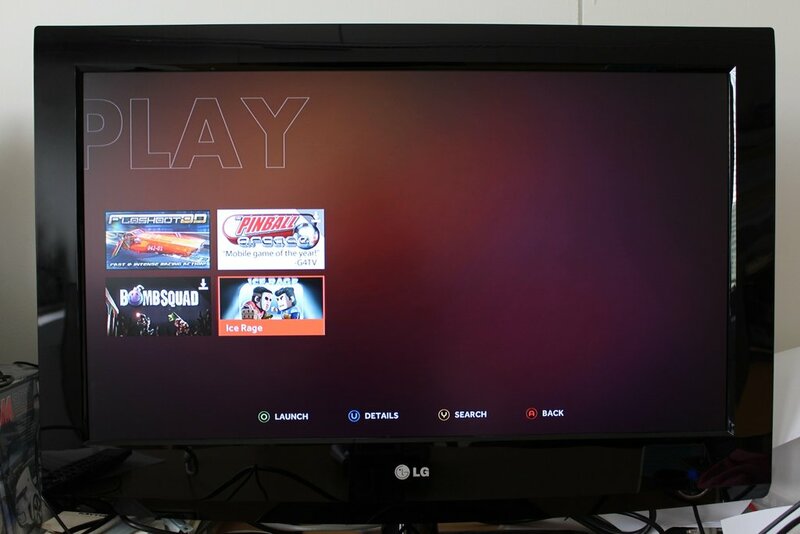 The version is 4.1 Jelly Bean, on top of which runs the OUYA's own UI. 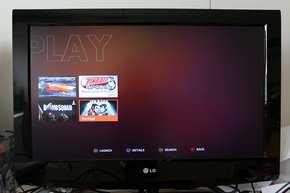 Unfortunately OUYA hasn't replaced all the views with their own UI and Android does shine through in few situations, like Settings and a couple of dialogues. Being based on Android is not necessarily a bad thing as it should have extremely well thought out wireless support for Bluetooth and WiFi. Unfortunately during out test run both of them had some issues. First we didn't seem to get the BT controller to connect after which we had difficulties with WiFi connecting. Although the fault might have been between the seat and the console for all we know. Thankfully the console does remember the connections so no need for reconnecting so far. The UI is certainly not the speediest and sleekest and the latency of the controller seems a bit slow. There are a lot of places where thinking about the little details would have also improved the experience quite a bit. It just feels too much like using an Android smartphone with not much oomph with a cheap 3rd party controller. Now this should be the beef though, right? Games. It's a gaming console that's meant to be played. 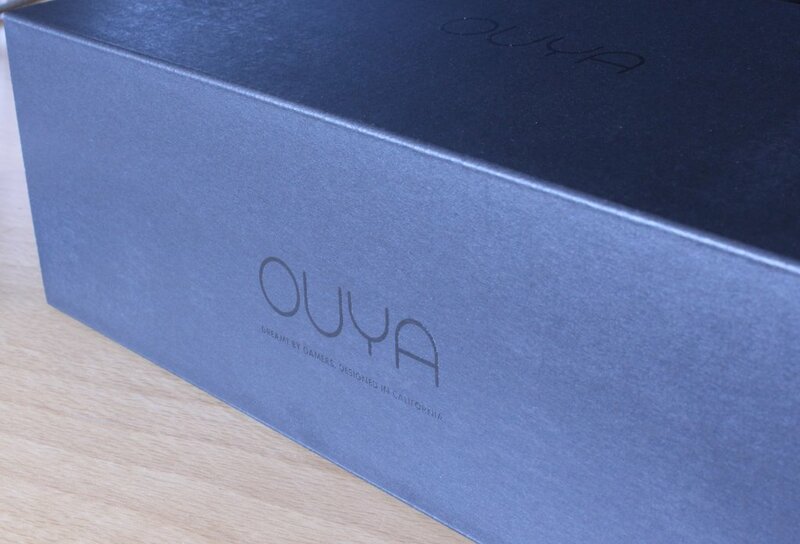 Not offering much anything else out of the box, OUYA is a true gaming console in that sense. Unfortunately that is not the case. The game experiences you're used with Xbox and PlayStation are nowhere to be found. The games are like the ones on your smartphone, and not even the good ones for your phone. Most of the games tried were sub-par, even in smartphone terms. The graphics are one thing. 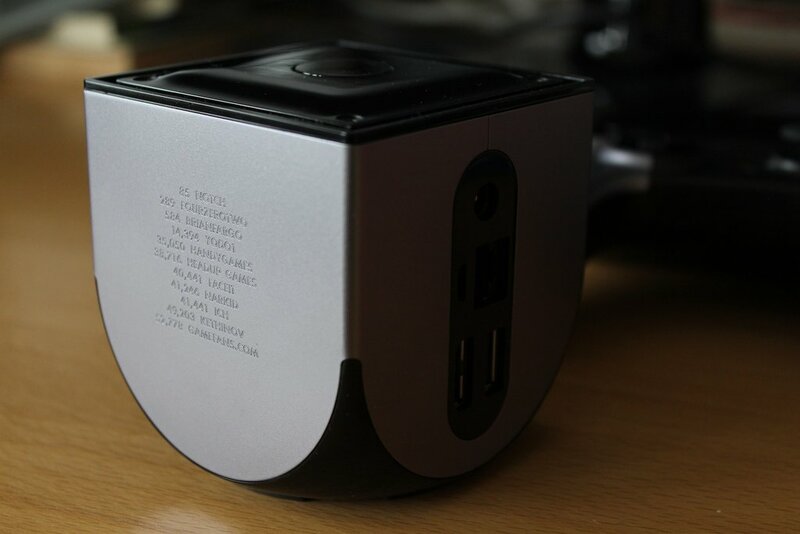 Having the processing power of 2012 smartphone, OUYA can't really deliver something unbelievable. But neither does the likes of PS2 or Wii. You can have really good games without the next-gen graphics and everyone knows that. I might be wrong and only tried the worst of the bunch. And trying the free trials might leave me out some cool extra features. 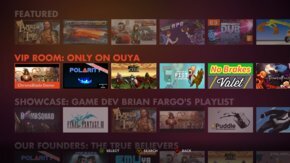 As revolutionary it wanted to be and as cool as it did sound on Kickstarter, OUYA does not have a future. Not without some impressive titles coming its way. The hardware is too old already, the UI is laggy and the games just aren't there. You shouldn't be investing your hard earned cash in to this. Invest the hundred dollars to the next-gen Xbox or PlayStation. 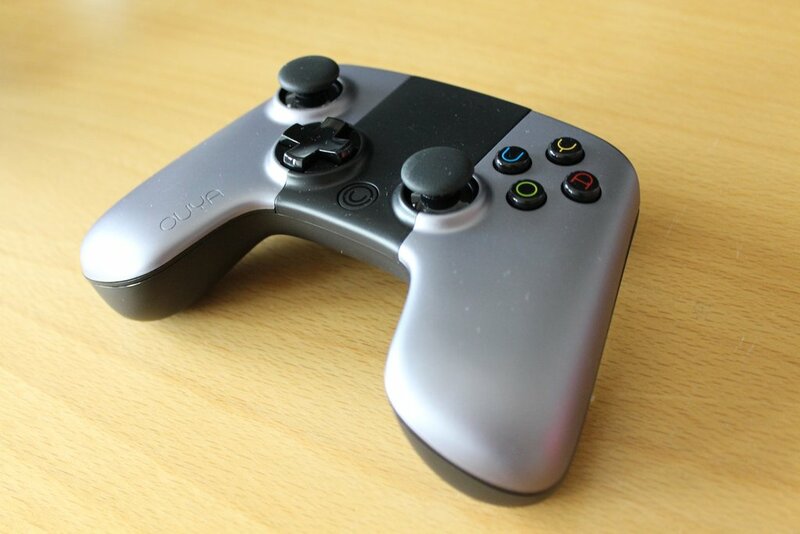 Or maybe wait for the OUYA 2 coming out next year? Then again there's one thing you might be interested in. 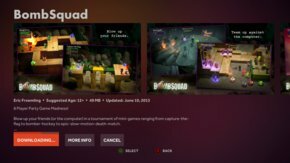 OUYA is really hackable, so you might just want a nicely boxed solution for Raspberry Pi-type of machine to run some default Android software. But that is not for the generic gamer OUYA is after. And there are tons of other solutions for such machines as well. Well written and informative: stay clear of OUYA, thank you. I remember being quite taken with the Kickstarter campaign but a more pragmatic approach would have seen this coming. An inevitable shame. I am not sure if this is going to take off despite the low price. It is tapping into a market that is already suffering and with the would really need some killer games to attract a crowd. I just do not see that happening when these indie games can be made for existing consoles that already appeal to gamers. Also the controller looks uncomfortable and what is with the way you have to put those batteries in. Seams like that is a disaster waiting to happen. Something wrong with the classic way of having a small access panel on the bottom of the controller away from your hands having to touch it all the time? I think this is a great idea for one it will give family who cant afford to fork out $300 or $400. Also for the amount of kids I see that are saying mommy daddy can I play that game on your phone. In todays world the amount of people is see on there phones playing games is crazy and yes im am one of them I'm must say. The cheapness in price to the amount of games they can put on will attract a lot of people and a lot of family's in to buying this console. if you think about it 1/4 of the price to buy this would buy you a ps3 or a xbox360 controller and that's it. for me its cheap in price it's HD 1080p and its 3d. In my book its a win win cant go wrong at 99 bucks. This thing sounds like a complete waste of money and time! Anyone who would buy one of these ought to have brains enough to know that most smartphones could do what this piece pf crap does and more, if they don't then they deserve what they get! Glad I did not invest in this piece of trash. And yet, despite all the negativity, there has been major investment in it ...by Nvidia for one. In theory, generational programming can get more out of a fixed platform. However, considering the plans for the OUYA2 that probably won't happen much. One thing that this "article" fails to mention is that there have been a number of updates which has improved the situation considerably by all reports. It seems to assume the thing is fixed in time software-wise. I find it very strange this trite opinion piece is being passed off as news. 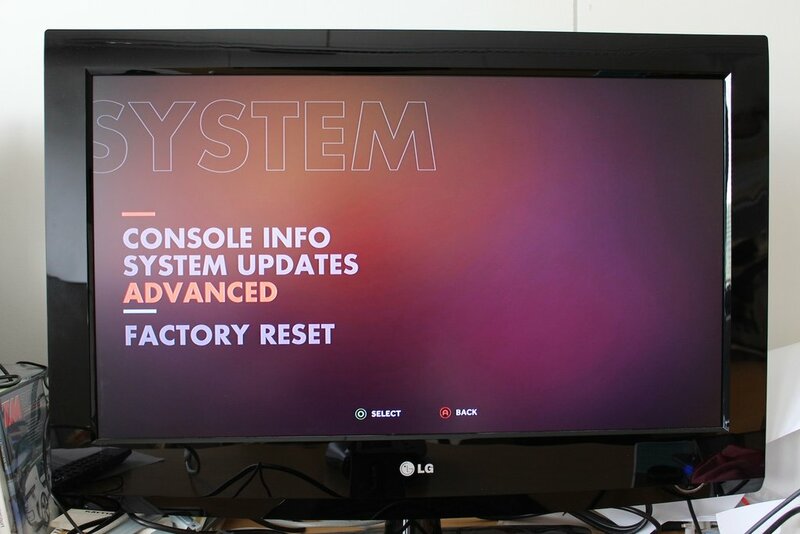 This did not happen for the other consoles over the years. Still waiting for mine. Pretty ticked off by that. I couldnt see putting 110.00 bucks into this. It reminds me of a vintage system. Games that are played and designed for a smart phone work well ON THE PHONE, 30 mins to knock a little time off or an hour during traveo but on a console? I really cant see myself playing blocks on a 40 inch screen at all. This with the fact that blocks is my most addictive game on my phone...I wouldnt dream of touching it on a console. Very much worth it if you can't afford to build an HTPC. XBMC on this = you not needing cable anymore, Especially if you have good broadband. "None can resist the might of my "Iron Gerbil Gauntlet Roundhouse!" The graphics reminds me Dreamcast. At least it did better than the Phantom Console. I really cant see myself playing blocks on a 40 inch screen at all. This with the fact that blocks is my most addictive game on my phone...I wouldnt dream of touching it on a console. I'm not that inflexible. I would play "Thomas Was Alone" on a flippn' projector if I felt like it. Come to thing of it... I think I have! If they can get a couple of triple 'A' titles, it might have a chance. But this thing has very little storage capabilities. I have about 16 games & demos of all sizes loaded up there and there is at least 3.5GB free still from about 5.5GB. Apart from the initial OS update downloading games has been as fast as it could be on my line in oz. It's had no trouble with the wi-fi or ethernet. So that's all cloud based storage anyway. It has the promise of being able to use USB drives. When they get that going games could be more substantial. They've got work to do developing the OS for sure, adding features etc. I've had no issues with unresponsiveness either with the controller or the UI, such as it is. So that's cleared up. maxed out or any of the top 10 A list games from console or PC. They were demoing Grid cloud computing playing Borderlands2 on OUYAs at E3. Well that's impressive. But are those types of games available right now? Or were they only around for the E3 demos? Ahh - so it's not playing the games natively then, using it's own system resources? It's like onlive (RIP) (insert Monty Python-esque quote here 'I'M NOT QUITE DEAD YET). Then it's not in HD is it? What is the max vid resolution? They were demoing Nvidia Grid cloud gaming playing Borderlands2 on OUYAs at E3. I'd say it's all in it's infancy. There have been other cloud gaming enterprises, this is a new one. They claim it needs less bandwidth. But I imagine it would still have to be pretty good. I'd guess the OUYA is decompressing the audio/gfx info. The OUYA is about promoting cheap indie gaming too not just big titles. A bit like comparing short films to blockbusters. Funny that you've mentioned OnLive, as it was quite a big deal when they teamed up with them before even the early backer sets were shipped, but have been oddly quiet ever since. I'm not really sure of the res on them...I was so disgusted with their production delays that I only tested mine when I FINALLY got my early backer copy in order to put it up for sale on Amazon, where it finally sold the other day. I'm not even sure if this thing RUNS XBMC, and it this point I could care less, but to say the console is "really hackable" is a bit misleading. Yes you can root the device, but the last time I bothered to check doing so would exclude you from EVER using the "OUYA store", and everyone was having problems installing GAPPS, getting 3rd party controllers to work, etc. One of their big pitches was the ability to hack it, but they never bothered to mention that you'd be screwed if you wanted to/needed to use the OUYA store for anything afterwards. They should package it with the latest Duke Nukem. They both seem to have the same hype and delivery characteristics. It's early days. It's not as far advanced as I would like yet either but that's being worked on. A lot of the earlier bugs have been dealt with, it's an ongoing process. At this stage it's playing games no problems. My kid loves it and I'm having fun. 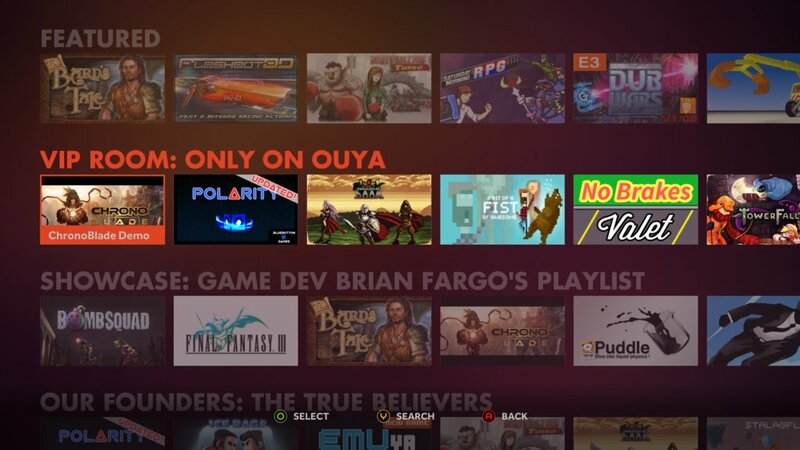 From what I understand the OUYA store is designed like that to protect the devs. If you root the device you can root the device back again to regain access to the store. I don't care it's 2012 tech. Please explain to me where I can buy a similar Tegra3 device new with controller for $99? You can't? Then f-off. PS: It's native res is 1080p Ron. You shouldn't be investing your hard earned cash in to this. Invest the hundred dollars to the next-gen Xbox or PlayStation. Opinion not news. This person is talking out of their backside. What a load of utter crap. ... from someone who expects everyone to have the latest most expensive mobile device like him or a PS4. Who expects everything handed to him on a platter and to be perfect from the word go without updating. Lacking vision and objectivity, and obviously not a family person who has a limited income. Please get him to explain to me where I can buy a similar Tegra3 device new with controller for $99? You can't? Then f-off with your hatchet job. 1. 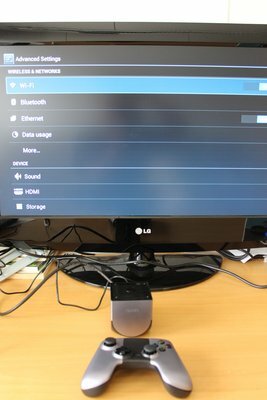 I can use it as an Android based mini-pc also and add my own applications from googleplay. 3. It consumes minimal power. I have recently purchased one such device for $ 85/= for 24/7 service. It sports a 1.7 Ghz quad core cpu, 2 gb ram + 8 gb storage, usb + micro usb ports, HDMI output supporting 1080p resolution at 3.0 mbps+ bit rate and includes remote control + wifi keyboard/mouse. It is a little larger than an oversized USB wifi adapter. It consumes a mere 12 watts of power at the wall socket. I have VLC, Maxthon, uTorrent, Skype, Viber and Whatsapp installed on. I will now search for ways to buy it and delivered to India. Hey Pmshar. Can you send me the link for that TV PC stick you bought? I've seen other ones around but without the remote thrown in. It sounds great. Cheers. The OUYA is more games orientated imo. Not just the device but the nurturing developer environment it's trying to foster ...like the store. Google Play is good but the games are orientated around a touch screen primarily not a regular controller. 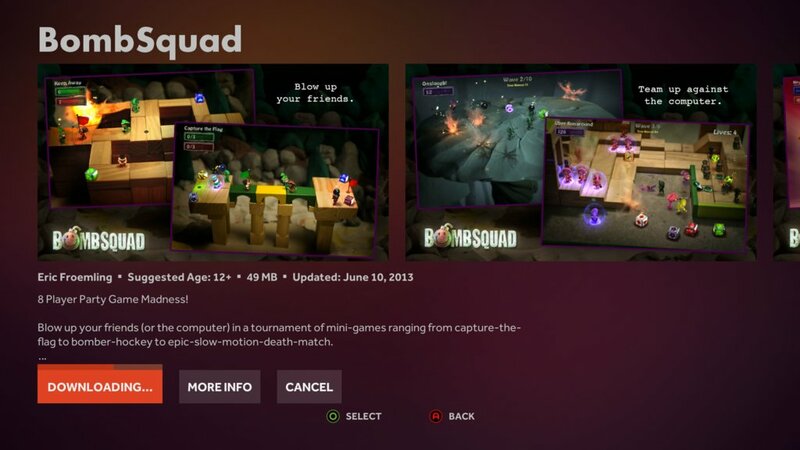 Try buying it from OUYA.tv direct. Lookup Hong Kong based AliExpress. They are BIG. So many new products are coming out weekly it would be difficult to to choose. It can decode 1080p, when XBMC finishes fully optimizing for it (currently there's just one for that works very well). I'm not so sure about 3D, maybe, probably with more optimizations. But it can barely render 720p. Heck, they put a fan on the unit, but didn't even bother to over-clock it. Google Play store and the authentication framework have to be side-loaded through ADB from a non Google, non Ouya source. It comes rooted, but you need to make some modifications with ADB, and have to redo that and reinstall SuperUser after every mandatory update. But the bootloader is locked, and there is no recovery mode. If an OTA update bricks the unit, or other random thing happens, you can't recover yourself. 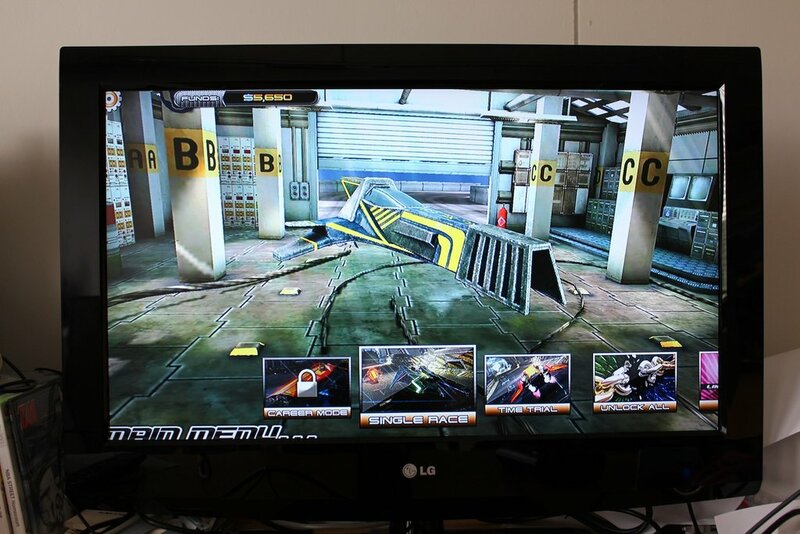 Even a bricked PS3 can be recovered. When no recovery mode was brought up to them, they called the Cyanogen crew incompetent to work on android.